The public symposium to improve/promote comprehensive hearing healthcare services for deaf and hard of hearing people will take place in Tokyo. Zennancho’s annual congress will take place in Tokyo. 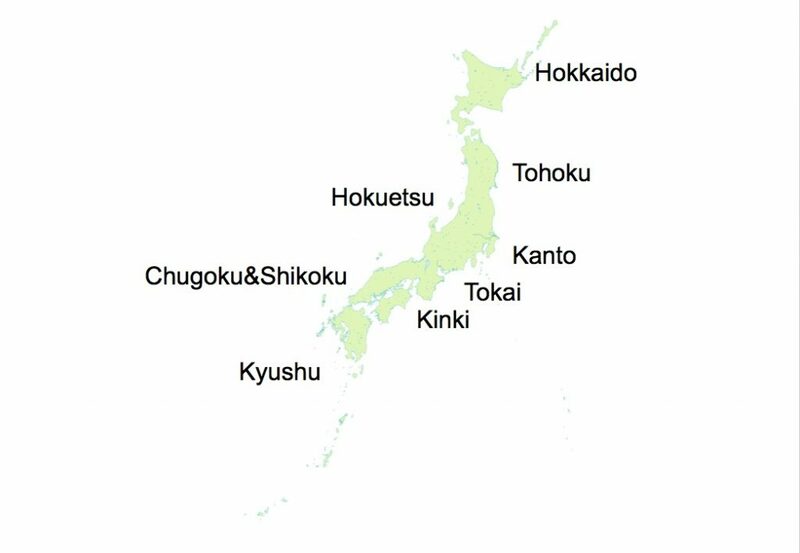 Click here for detailed information (in Japanese). Two International Division staff members visited Nepal from 9/1/17-9/4/17 to observe the communication support systems and protocols to assist hard of hearing people in Nepal. 7. To engage in other relevant activities that help accomplish the above goals. Introduction of two major systems for assisting HOHʼs communication. 1991 Our Committee turned into an incorporated association and changed the name to All Japan Association of Hard of Hearing and Late-Deafened People (Zennancho). 2013 Zennancho turned into a general incorporated association. of this association was performed by parents of deaf persons.Before World War II, the policy of Japanese government for disabled persons is majorly relief but not welfare.Japanese government did not have an idea to make the happiness of disabled persons. understanding/recognition of them. Although two large associations were established, more time needed to establish the national level of HOH association. hikki sha), and the later contributed the Hearing improvement of HOH persons by using hearing aid having telecoil system. After HOH persons have a simple and comprehensive watchword, ʻCART reporterʼ, They started the preparatory proceedings for the establishment of the national association for HOH persons.In Japan, HOH persons and CART reporters formed each their organization and cooperated on various activities with each other. In 1978, HOH persons stablished the Regional Coordination Committee of Hard of Hearing People (Zennancho). Furthermore, in 1983, an association of CART Reporters “Zen-yoken” was established. This association changed name in 1991, All Japan Association of Hard of Hearing and Late-Deafened People (Zennancho).Further, in 2013, Zennancho changed its Juridical Personality to a general incorporated association. Mission: To promote independence and full participation in society of deaf and hard of hearing people, raise public awareness of their needs, and, as a result, to improve overall public welfare and protection of human rights in Japan. 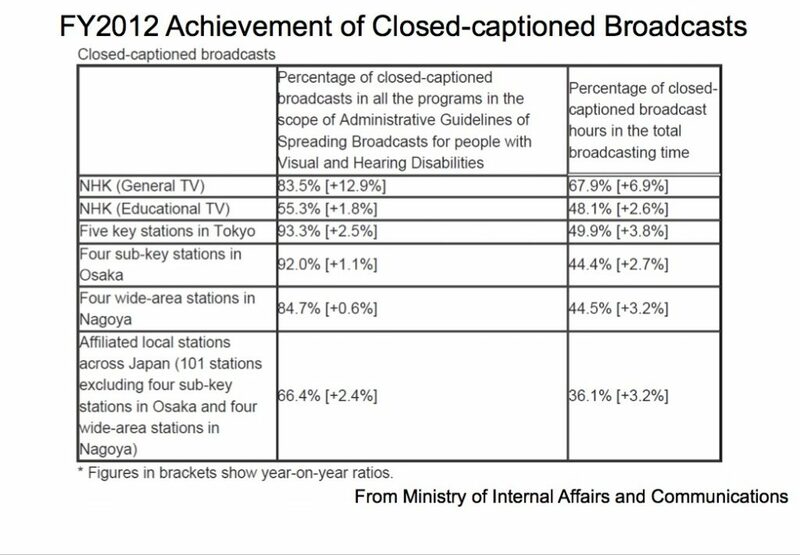 The broadcaster shall establish as many >>>and broadcast programs which enable persons with aural disabilities to see characters or figures which explain voices and other sounds when editing the broadcast programs of domestic broadcasting, etc. through television broadcasting. Services which dispatch sign language interpreters, etc. (means to mediate the following persons with disabilities, or others and other persons with a sign language or other means prescribed in Ordinance of the Ministry of Health, Labour and Welfare (MHLW)) for such persons with disabilities,>>>. This law was corrected various incompleteness on 2012. The word, “CART reporter” was firstly stipulated in addition to sign language interpreter. Zennancho and IFHOH hosted the side-event for HOH and Late-Deafened people in the ad hoc committee in New York and succeeded to input the words “written” and “display of text” for the right of them in the definition of communication of the Convention on the Rights of Persons with Disabilities (UNCRPD). “Communication” includes oral-aural communication, communication using sign languages, and Braille, and tactile communication, large print, audio, accessible multimedia, plain language, human reader(s) and augmentative and alternative modes and means of communication, including accessible information and communication technology. Copyright © All Japan Association of Hard of Hearing and Late-Deafened People.